Will you ever have a flat tire on the road?Probably. When will it happen? When you least expect it. When it does happen, you need a way to safely repair the tire and inflate it. The offending object usually punctures the tire along and either side of the tire’s center tread. That’s a good thing, as it makes repairs easier. It’s also the reason that tires worn thin in the middle of the tread are more susceptible to penetration by foreign objects. 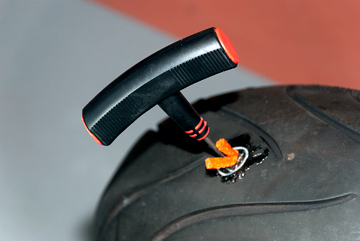 Sidewall punctures can not be repaired, requiring your bike to be towed to a repair facility for a new tire. Most punctures I’ve seen were from nails and screws. When a nail penetrates the tire, loss of air is usually gradual and may not be discovered for miles down the road. Sudden loss of air is rare, but it does happen, especially if a valve stem fails. It’s a good idea to visually inspect your tires at each stop, so, if there is a puncture, you can fix it while sipping a cold drink rather than trying to avoid being run over later at the side of the road. 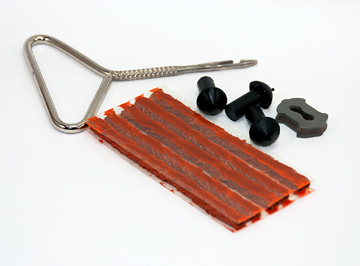 There are a number of tubeless tire repair kits on the market, from fix-it-in-a-can types, to green goo, strings, patches and plugs. The quick-fix variety are my least favorite. I’ve never successfully fixed a flat with one of these products, although I’ve heard stories to the contrary. Likewise with patches. You’d have to remove the tire to patch it from the inside, something you’re not likely to do on the side of the road. Nothing beats some kind of plug, such as the string type or rubber insert (Figure 1), which is jammed into the hole, physically sealing it. String type plugs have been around for years and they do work, although they can be messy, difficult to insert, and may be expelled by the tire at an inconvenient time. When using string plugs, make sure you apply sufficient rubber cement to the string before pushing it into the tire (Figure 2). Let it set until the cement is completely cured. Figure 2 When using string plugs, make sure you apply sufficient rubber cement before pushing it into the tire. Mushroom plugs are my favorite, and those from Stop and Go (stopngo.com) are the best I’ve found. I use the standard model plugger in the shop and carry the Pocket Tire Plugger in my sport touring bike (Figure 3). I’ve repaired many motorcycle tires using these two kits and have never had a failure. Mushroom plugs have the advantage of sealing the tire from the inside. Notice how the mushroom plug lies flat against the inside of the tire (Figure 4). Air pressure holds the head firmly against the tire’s inside surface, sealing the hole, and holding the plug firmly in place. Since flats usually happen on the road, why not get some practice at home before heading out? 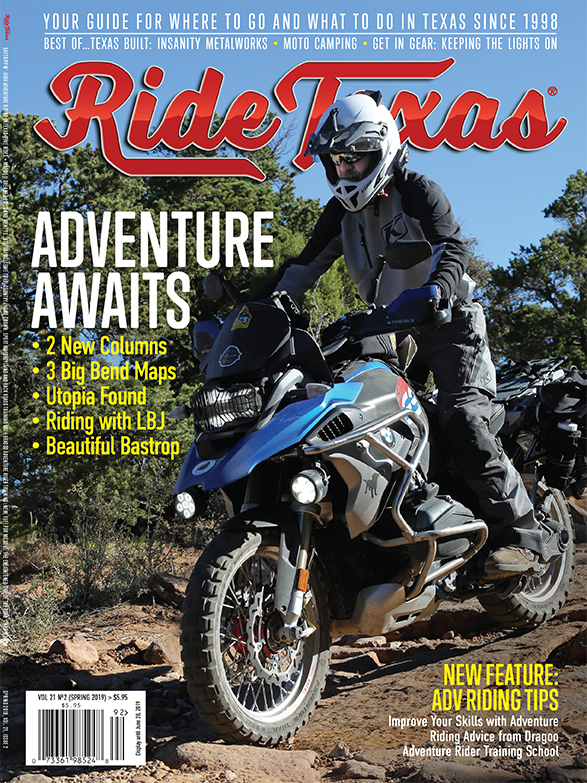 Most motorcycle shops will give you a used tire you can practice on and will take it back when you are finished. 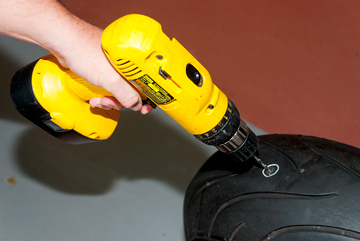 Drill the tire with a 1/8” drill bit and mark the hole’s location (Figure 5). This bit size approximates the size hole you are most likely to encounter. Follow the manufacturer’s instructions and begin the repair. Make sure you clean out the hole thoroughly with the reamer/rasp tool before inserting the plug. This action removes any bits of steel cord or other debris that could compromise plug integrity. Make some more holes, maybe at different angles, and plug them. Inspect your work from the inside as well as outside the tire. By now, you’ve invested enough Karma that you may never have a roadside flat. But if you do, you’ll be ready. Once the tire is repaired, it needs to be inflated. There are many different ways to accomplish this task, but the fastest is with a portable 12v compressor (Figure 6). Tire compressors are cheap and readily available. 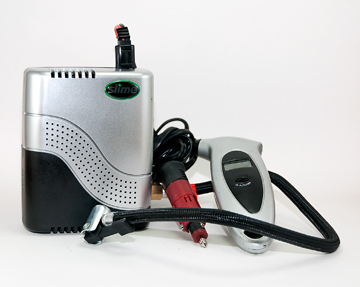 Complete repair kits, including compressors, all packaged conveniently for travel are also available. Compressors work! They don’t take long to fill even a completely flat tire and don’t run out of air. The most common problems you may encounter are electrical connector incompatibility with your bike, battery capacity, and the heat these things can generate. It is best to connect the compressor directly to your battery. You may have to build a special wiring harness to do so or just use alligator clips to the battery post. Start your bike before running your compressor so that the bike’s alternator can supply additional power to the battery. Follow the compressor’s duty cycle recommendations to avoid damaging heat buildup. Handle the hot compressor carefully to avoid painful burns, typically from hot air-hose connectors. Let everything cool before repackaging. 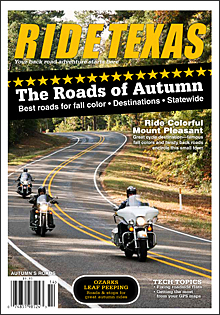 While researching this article, I spoke with several tire manufacturers. They all gave me essentially the same advice. That is, “You must consider a punctured tire as a damaged tire, regardless of the repair that was made. Repairs are not considered safe, and one should proceed with caution, limit speed, and inspect the repair often. Have a new tire installed at your earliest convenience.” That’s good advice in my opinion, and that’s what I choose to live by.